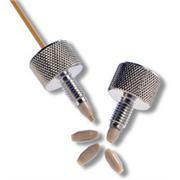 …ferrule in PEEK. 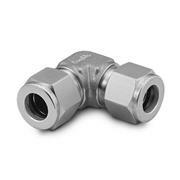 The fitting can be used throughout the flow path, but because it can be re-used without losing tightness, it is especially suitable for the connection between the heat exchanger and the column. 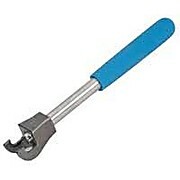 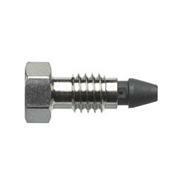 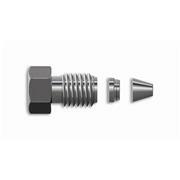 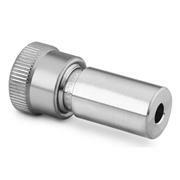 This new and improved fitting replaces the standard stainless steel Swagelok fitting. 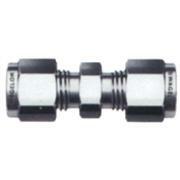 …unique double ended ferrule design seals at two points to prevent leaks. 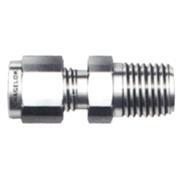 The fittings are compatible with any standard female HPLC fitting, including Swagelok®, Parker™, Waters®, Valco® and Whatman®. 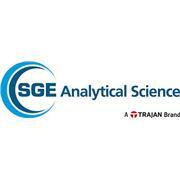 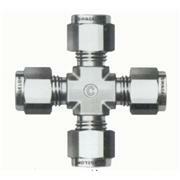 EasyLOK fittings are recommended for use with SGE GLT™ columns. 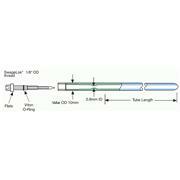 The kIt includes: 2- 6 ft. lengths of 1/8 in. 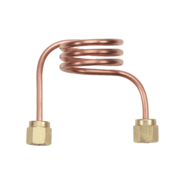 i. d. copper tubing with 1/8 in. 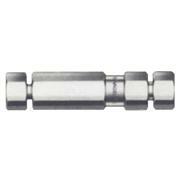 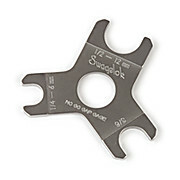 Swagelok fittings at each end 2- 1/8 to1/4 in. 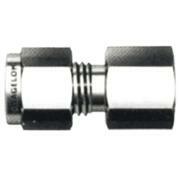 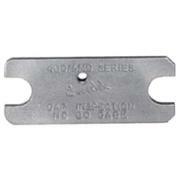 fittings (09903087) 2- 1/8 to 1/8 in. 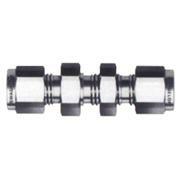 fittings(09903434), and 1-roll of PTFE ® tape. 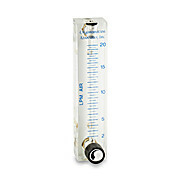 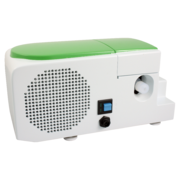 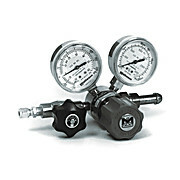 …with nitrogen or argon, is also included, as is a Swagelok 1/4in npt to 1/4in fitting (P/N 09903196) which allows the user to connect the regulator to the PerkinElmer dryer (P/N N2410169). 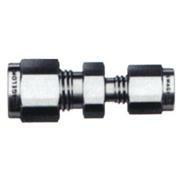 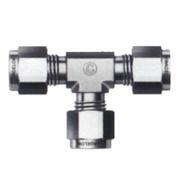 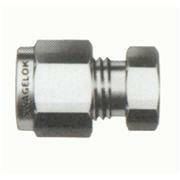 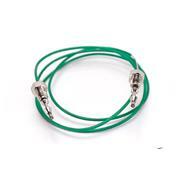 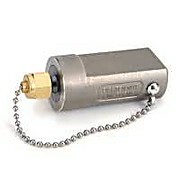 For direct connection to the 1/8in gas line, order the Swagelok 1/4in to 1/8in reducing fitting (P/N 09903471).